If you catch yourself shouting answers at the TV during “Wheel of Fortune” or killing it during bar trivia night, you might want to show off your skills on the small screen. We found a variety of game shows you can audition for without leaving home. The first four are advertising open casting calls, with filming starting soon. In this list, we’ve also included ongoing audition information for some of your favorite classic shows, in case you want to throw your hat in the ring for future seasons. Alec Baldwin hosts the most recent revival of this iconic game show. Two contestants guess how a panel of six celebrities fill in the blanks to a series of “somewhat silly” questions. The player with the most matches after two rounds goes on to play the Super Match, where they can win up to $25,000. To apply: You must be at least 21 years old and legal resident of the U.S. to apply. Answer a few questions and upload recent photos online here. You’ll be contacted within a few weeks if you’re chosen to proceed further in the casting process. If you’re cast on the show, you’ll need to be able to go to New York City between Nov. 2-7 for filming. This most recent version of the original “$25,000 Pyramid” is hosted by Pro Football Hall of Famer Michael Strahan. The game features two contestants, each paired with a celebrity, attempting to guess a series of words based on clues from their teammates. You can win up to — you guessed it — $100,000. You’ll need to make a video and fill out an online application here. You may be contacted for a phone or Skype interview/audition, and you’ll hear back via email if you’re selected to move forward. “Pyramid” films in New York, and dates are yet to be set. The reality show that sparked our obsession with the genre is still going strong and casting for seasons 35 and 36 (across 17 years). To apply: You must be 18 years or older and a U.S. citizen to apply (19 in Alabama and Nebraska, 21 in Mississippi and Washington, D.C.). You’ll need to upload a video and recent photo, include your bio, and answer a few questions in the application here. You can also keep an eye out for open casting calls by your local CBS affiliate here. You’ll get an email if you’re selected to move forward. Filming dates for upcoming seasons are tentative, but looking at end of April for season 35 and early June for season 36. You’ll need to be available for filming and travel for 46 days. This game show was derived from the popular app of the same name and is hosted by comedian Ben Gleib on Game Show Network. To apply: Email your name, age, contact info and relationship to your game partner to the address listed here. The show shoots in Los Angeles, and potential shoot dates are mid-November, according to Backstage. To throw yourself into the casting pool for the chance to win $1 million, create a 30-second video explaining why you’re a fit. Include a YouTube link to the video in the application here. If selected, you’ll be invited for an over-the-phone test. A passing score on the test will earn you a video interview audition. If you’re selected from your audition, you’ll be in the contestant pool for the next two seasons. Producers will select potential contestants from the contestant pool. If you’re selected, you’ll have to make your own travel arrangements to Las Vegas for taping. You must be 18 years of age or older a legal resident of the U.S. to apply. Kids ages 8 to 15 can apply for the specialty Whiz Kids Week shows. A parent or legal guardian should fill out the Whiz Kids application here. Think you’ve got the wits and brains to be the next Ken Jennings? Even if you don’t break records and go home with $2.5 million, you could win a bundle on this classic trivia show. To apply: The first step to getting on “Jeopardy!” is to take an online test. Except for specialty competitions, you must be 18 years or older to apply. No residency requirements are listed (Canadians are encouraged to apply). If you meet the requirements and pass the online test, you may be contacted within a year for a in-person audition in Culver City, California (near Los Angeles). After your in-person audition, you’ll remain in the applicant pool for 18 months, and producers will notify you about a month in advance of taping if you’re selected for a show. The show typically tapes on Tuesdays and Wednesdays from August to May. To apply: You must be 18 or older and a legal resident of the U.S. to apply. If you’re a teen applying to compete in a specialty week, a parent or guardian must fill out the application for you. Create a short video, and include a YouTube URL or upload directly to the application here. You’ll also need to include a head shot and answer a variety of questions about yourself. Ready to audition? 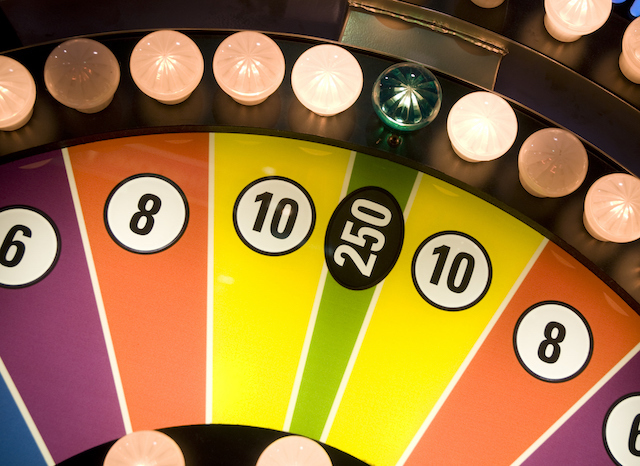 Read our tips to make sure you have the best chance to be selected as a game show contestant. Want to be the first to know about other fun and interesting money-making opportunities like this? Like The Penny Hoarder Jobs on Facebook to stay in the loop! Your Turn: Have you ever wanted to compete on a game show?